Serratia Peptidase or as it is more commonly known SERRAPEPTASE is an enzyme which has strong anti-inflammatory properties and abilities to reduce pain. Serrapeptase has an active enzyme which was originally discovered in the intestine of the silkworm, it is used to make a hole in the cocoon from which the moth emerges. The silkworm feeds on Mulberry Leaves which are tough to digest, the active enzyme in Serrapeptase assist in the digestion of the leaves for the silkworm. In today's modern laboratories it is processed under clinical conditions which do not involve silkworms meaning that the animals are not harmed in any way during the process. WHAT IS AN ENZYME ? 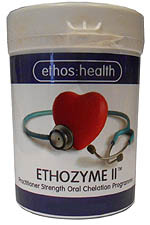 Enzymes are present in all living organic matters. In every function of growth, repair and health in all cells of our bodies they play an essential part. We have thousands at work every second of every day, working to build and regenerate. By digesting food, breaking down toxins, cleansing our blood, supporting our immune system, removing carbon dioxide from our lungs, converting protein to muscle and supporting our vital organs, our lives are dependant on enzymes. We either ingest enzymes in the food we eat, or they are produced naturally by other enzymes. It is essential we have a daily intake of enzymes as some have a long life of weeks, where others only have a life of a few minutes. Our bodies have a relationship with inflammation likened to love and hate. The love part is a natural response which is necessary to protect the body from harmful organisms, whereas the hate part is the limitation of joint function which can destroy bone cartilage and can be very painful. Our body reacts to injury or damage by becoming inflamed, which is a reaction from the immune system to infection or irritation. The characteristics of inflammation are redness, heat, swelling, pain and the dysfunction of the organs involved. Increased blood supply to the infected area cause the redness and the heat, fluid becoming trapped in the area causes the swelling, and nerve endings become compressed by the swelling which causes the pain. The standard drugs for inflammatory diseases and trauma in the UK include Steroids and Non Steroidal Anti-Inflammatory drugs, or NSAIDs. Both forms of these drugs will give temporary relief from the symptoms, but do not treat the underlying condition. NSAIDs which can be both prescription and non prescription drugs such as Aspirin and Ibuprofen not only offer a temporary solution, but can also have dangerous side effects, which could result in other drugs being prescribed to counteract any damage that has been caused. HOW DOES SERRAPEPTASE BENEFIT SO MANY DIFFERENT CONDITIONS? There are two major problems which cause the majority of symptoms in the body, these being dead and inflamed tissue. The enzyme in Serrapeptase clinically shows that it digests non living tissue, blood clots, cysts and all forms of inflammation. Due to its ability to block any release of painful and harmful chemicals from inflamed tissues it has proved to be very beneficial in reducing pain, making the enzyme useful for treating a wide range of conditions. Many studies and trials have been undertaken throughout Europe and Asia resulting in proof that this powerful enzyme is an excellent treatment for pain and inflammation. No known side effects have been reported by using Serrapeptase, and it can be safely taken with any other medicine without interference. It is safe enough for children over the age of 2 years to take, and for women who are both pre and post natal. Serrapeptase comes in tablet form which has an enteric coating, which means the enzyme can pass through the stomach unchanged and can be absorbed in the intestine. If unprotected by the enteric coating the enzyme can be destroyed by stomach acid before entering the intestine. Tests have shown that Serrapeptase is transported directly from the intestine into the blood stream. CAN SERRAPEPTASE BE USED ON ANIMALS? Many vets are now prescribing Serrapeptase, as it has been proven to be very effective in the treatment for animals with symptoms such as arthritis. It is not uncommon for pet owners to share their supply of tablets with their beloved animals. WHY DON'T DOCTORS PRESCRIBE SERRAPEPTASE? In other countries including Germany Serrapeptase is available on prescription and has been for many years. There are doctors in the UK & USA that are aware of its qualities and therefore recommend it to their patients, but at present unfortunately it is not available on prescription. For chronic conditions, take at least three tablets - three times a day on an empty stomach - you can safely take up to twelve tablets per day. You may wish to reduce the dose, once there is an improvement, to a maintenance dose of Two - Three Tablets twice a day. You can adjust the daily dose accordingly. It is recommended that these tablets are not chewed or crushed, as they are enterically coated to protect them from being destroyed by stomach acid.